America’s Cup is a prestigious sailboat race, and one of the world’s oldest international sports competitions. In 1983, the American boat Liberty was leading 3-1 against the Australian Australia II, in a best-of-seven competition. Since they needed only one more victory in order to win the cup, it appeared that Liberty was ready to extend the US’s 131-years-long winning streak. Just as the race started, Australia II was penalized for crossing the starting line early, which gave Liberty the lead. In an attempt to catch up, the Australian skipper decided to sail to the left side of the course, despite the fact that the wind was, at the time, more favorable on the right, in hopes that the wind would shift over time, and give him an advantage. The American skipper decided to keep his ship on the right side of the course, believing that this side would continue to offer the more favorable conditions. Soon after this, the wind shifted in favor of the left side of the course, leading Australia II to win the race. Following this victory, Australia II went on to win two more consecutive wins, thus winning the cup and breaking the long-standing American winning streak. Since each ship’s speed depends on getting good winds, the skippers both attempted to make an educated guess regarding which side of the course would have the more favorable conditions. However, while this was the smart course of action for the Australian skipper, who was the runner-up, the American skipper, who had the lead, should have simply “followed his follower”, meaning that he should have imitated the strategy of the competition that he was already beating. Essentially, the Liberty already had the lead, if it had simply copied the strategy of the ship behind it, it would have sailed at the same rate throughout the rest of the race, thus keeping her initial advantage, and winning the race. Regardless of how sure Liberty‘s skipper was that his course was the better one, the smarter strategy in this case would have been to imitate his runner-up, which would have led to a certain victory. Follow the follower is a useful strategy, but one that can be applied effectively only in some cases. In the above scenario, there were only two ‘players’, and the only thing that mattered in the race that they were participating in was whether they won or lost. This meant that in this case, ‘follow the follower’ was a valid strategy, which could have helped Liberty win the race. However, if the conditions were different, this strategy may have been ineffective. For example, because changing course cannot be performed immediately, if the race had more than two ships involved, then the leading ship couldn’t always adjust to match the runner-up without sacrificing her lead, meaning that the strategy wouldn’t necessarily be helpful in this scenario. Winning by a big lead could be considered more prestigious. Imitating the loser’s strategy could be construed as a lack of confidence. There could be risk involved in changing course during the race, which could have caused the ship to lose its advantage. Keep in mind that we also don’t know how confident the American skipper was in his choice of course. Specifically, it’s possible that his calculations showed a very high probability that his original course was significantly better, which given the considerations shown above could have prompted him to maintain course rather than imitate his runner-up. While these reasons don’t negate the fact that imitating the runner-up was the correct choice from a simple perspective of game theory, they offer some possible explanations as to why the American skipper made the choice to maintain his course. If, for example, the benefits (in terms of prestige) that come from winning the race by a large gap were significant enough to be worth a small chance of losing, then his choice may have been smart after all. At the same time, it’s also entirely possible that the choice of strategy was driven by ego or lack of strategic planning, rather than by careful consideration. Overall, this illustrates how messy reality is, which is an important lesson to remember when considering the applications of game theory in real life. There is a reason why simplified models are preferred in game theory; the more factors you add in, the more complicated the game becomes. ‘Follow the follower’ is a strategy when a leader in a competition imitates the strategy of their runner-up, in order to ensure that they maintain their original lead. As long as the leader can perfectly imitate the closest runner-up, this strategy will lead to victory even if the runner-up selects a sub-optimal course of action. For example, in a sailboat race with two competitors, the leading ship should always stay on the same side of the course as the ship behind it, in order to ensure that they win the race. The ship should do so even if it believes that a different course would have more favorable conditions, because by imitating their runner-ups, they ensure that they maintain their original lead until the end of the race. This strategy is only applicable under certain conditions. It may not work, for example, in a race with more than two players, where there is a high cost to switching strategy in order to imitate the current runner-up, or in cases where it matters by how big of a lead the winner wins the game. Even in situations where this strategy can be effective, ego and the desire to appear confident and win by a big margin could cause people to avoid using this strategy, despite the fact that it represents the best course of action. 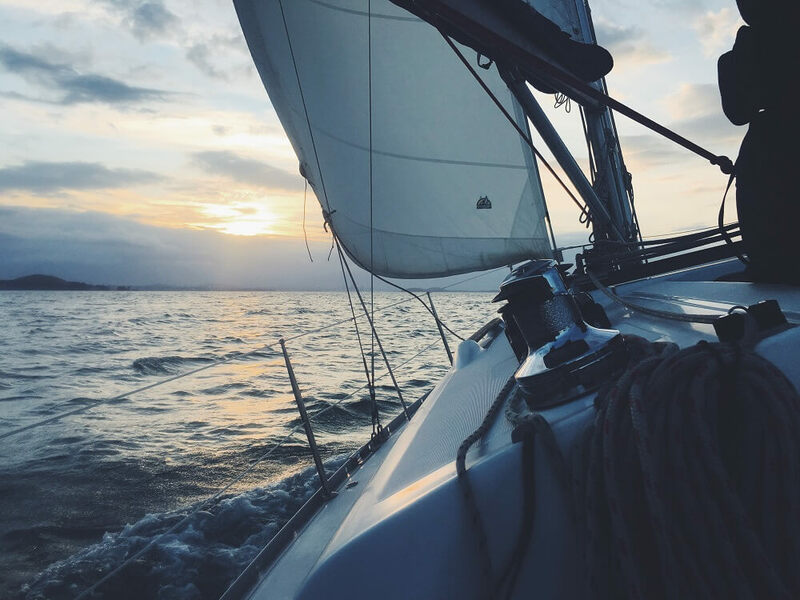 The sailboat example and the rationale behind this strategy come from “The Art of Strategy: A Game Theorist’s Guide to Success in Business and Life“. It’s a good read for someone looking to understand basic game theory and how it applies to real-life situations.